Do you often feel the need of a solution that can help you delete the unwanted part of any video? Then a DVD editing software is a solution that you might look for. A video editing software helps you by deleting required part of any video easily and quickly without losing video quality. There are a large number of DVD editing software available online that you can try. Here is a list of top software that you might find effective. Free Video Editor is one of the most trusted and popular DVD editor software available online for download. This tool lets you delete unnecessary part of the video without the need of re-encoding. You need to just set the start and end point of the video and it will cut down the unwanted part in a few minutes or even seconds. DVDStyler is another cross-platform free DVD editing software that lets you burn the video files on DVDs as well as create individually designed DVDs. This software helps you edit your DVDs and cut down the unwanted parts. It supports MOV, MP4, AVI, OGG, MPEG, WMV and other file formats. 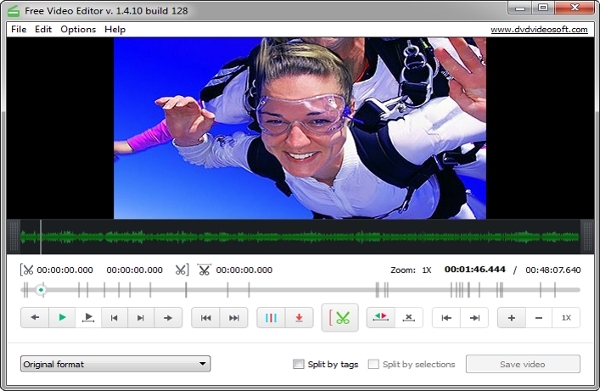 Free Video Editor is a software designed for editing video files and creates videos with various visual and audio effects. The simple and user-friendly interface allow you to edit video with negligible efforts. So get this non-linear video editing tool downloaded and make your video editing work quite easy and effective. Have a simple and quick video editing experience with DVD Flick, a DVD editor tool that along with making you edit your videos also helps you turn various video files from your computer into a DVD. This software supports 45 different file formats and also 60 video codecs as well as 40 audio codecs. VideoPad Video Editor is one of the most popular video editing software for Mac systems that can help you create videos for DVD, HD, YouTube and more along with the capability to edit or cut unwanted video parts. You can easily burn movies to DVD for playback on TV, or as a standalone video and put on portable devices. 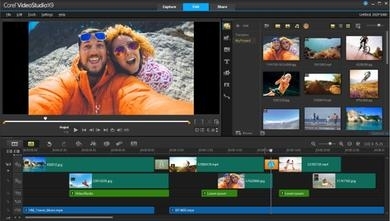 It comes with the option to drag and drop video clips for easy video editing. SuperDVD Video Editor is a windows video editing software that can help you edit your AVI or Divx and other files formats with frames control. It lets you divide/merge video and audio stream into a new file. It also offers you the power to change play speed of video along with adding additional effects. 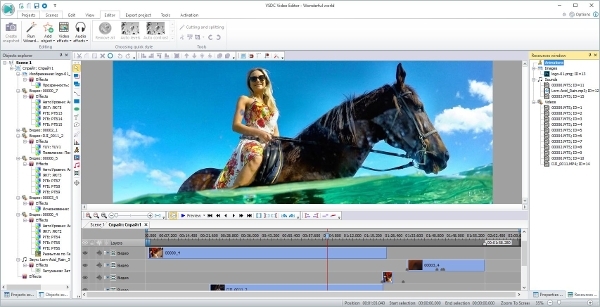 VideoStudio X9 is one of the most popular and advance DVD editing software available online for free trail. It helps you edit and create intuitive videos. It is a quite convenient DVD editing software for beginners as well as for experts. Get downloaded online today and have a wonderful video editing experience. What is DVD Editing Software? Are you a video or movie making enthusiast? Them you might probably need to edit videos, create DVDs, combine multiple videos and more. All this is highly time-consuming and hectic without a perfect solution. A video or DVD editing software is the solution that you might find highly useful in meeting your video editing needs. This software not only offers you best quality video editing experience but also lets you create DVDs that can be accessed through any DVD playing device, computer, PCs and more. Some of the software’s also come with multiple options of adding highly advanced effects and audios to the videos that can really make your videos exciting and entertaining. 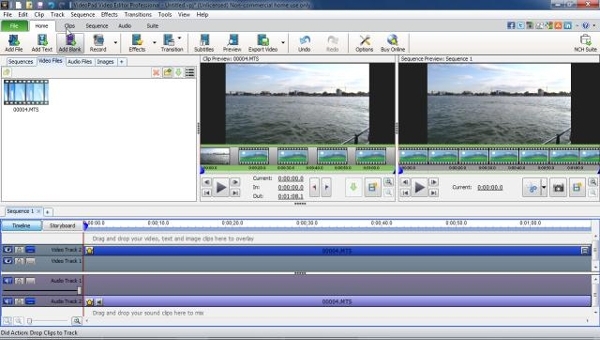 This software really makes video editing and creation a simple and quick activity. All the above mentioned software tools are highly popular and authorized to create and edit video DVDs. These are designed with an aim to make your video editing and creation task quite simple and effective without many efforts. So try any of these tools and create high-quality videos quickly.